To help new students find their feet O-Week rolled out again at The University of Queensland in the scorching heat for semester one. Take a look at how the event has changed over the years. During O-week the Great Court is the bustling heart of activity particuarly on Market Day when the cloisters are filled with colourful stalls for various clubs and societies. A range of pop-ups for various activities adorn the centre and the space takes on the colourful atmosphere of a bazaar. Every effort is made to allow new students joining us at the University of Queensland (UQ) to feel at home. O-Week is packed with free entertainment and activities that help students discover the range of elements that comprise university life. A traditional welcome dance, welcome BBQ, and an international arrival lounge created especially for international students, are just some of the things on offer that help immerse students in UQ culture and provide them with the opportunity to make new friends. The festivities have grown in recent years as more students join us;the program aims to provide something for everyone to enjoy and engage with. The tradition of the fresher dance has continued at UQ with various colleges putting forward their most rythmic first years to dazzle the crowds. There is a club for almost anything at UQ - from language, gaming and anime, to rock climbing, diving and dancing. 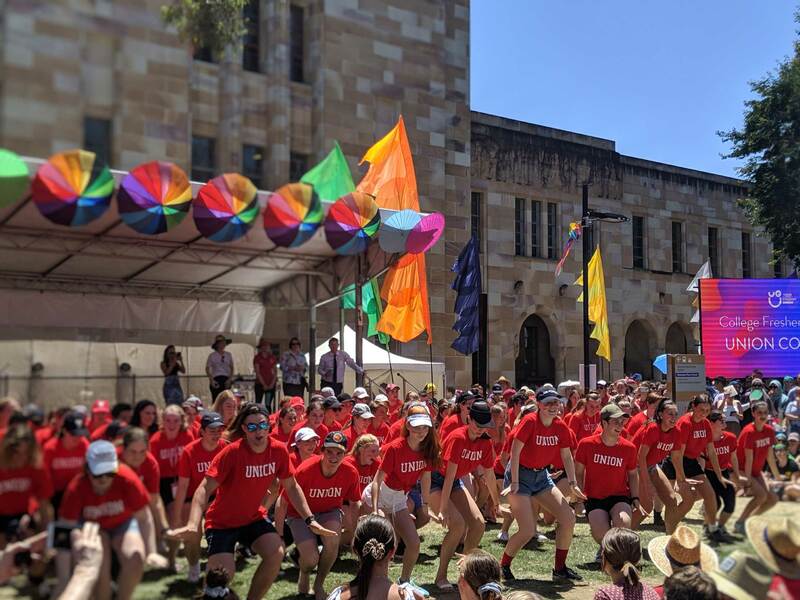 Among the broad range of activities you can engage with at UQ are the sports, clubs and social groups - all of which are showcased at Market Day during O-Week. Joining a club with like-minded individuals allows students to express themselves and builds friendships that can last forever. 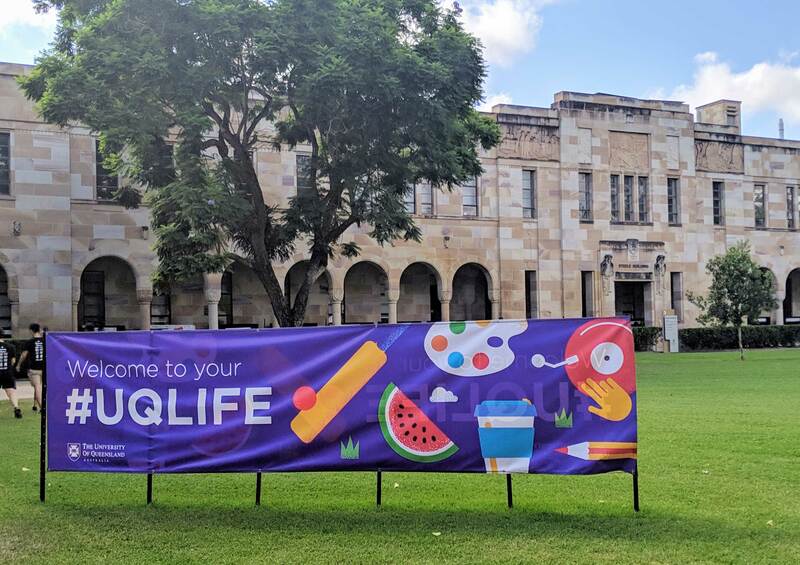 Students are also offered the opportunity to learn about the UQ student union and given vital information on study-life balance. Share your fond memories about O-Week with us on social media! Find us on Facebook, Twitter and Instagram @UQAlumni to connect with former classmates and share stories.